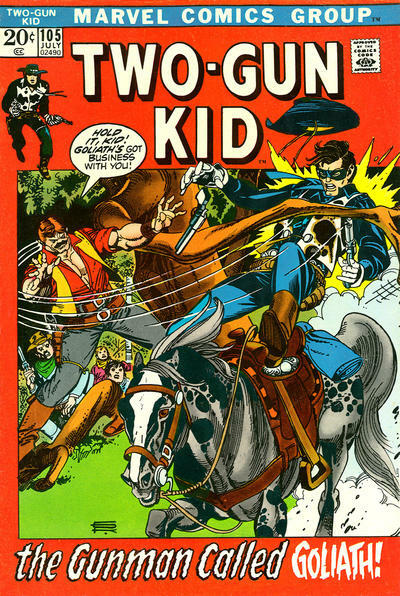 Slap leather, Groove-ophiles! 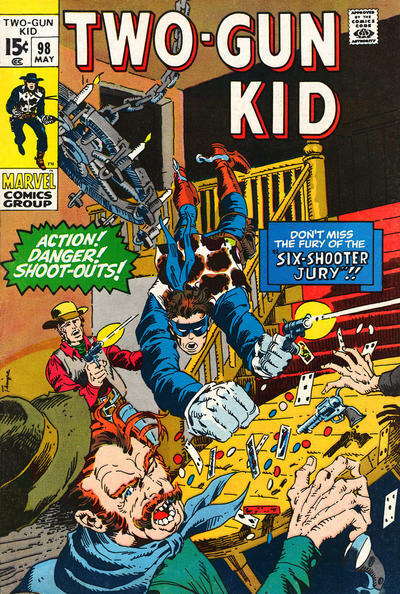 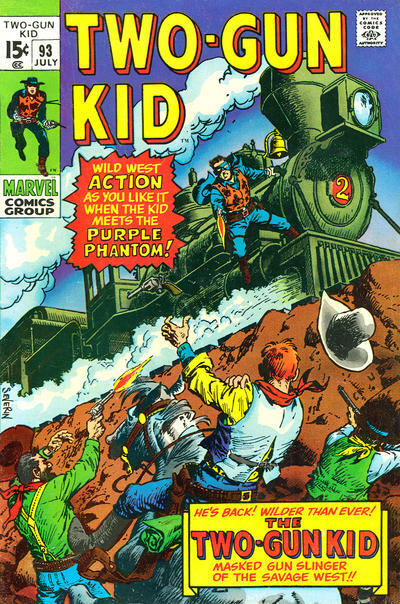 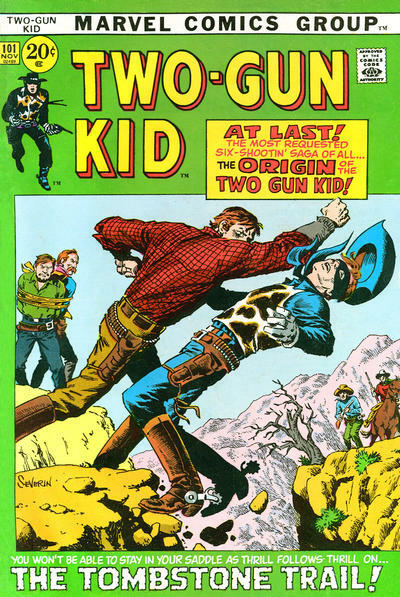 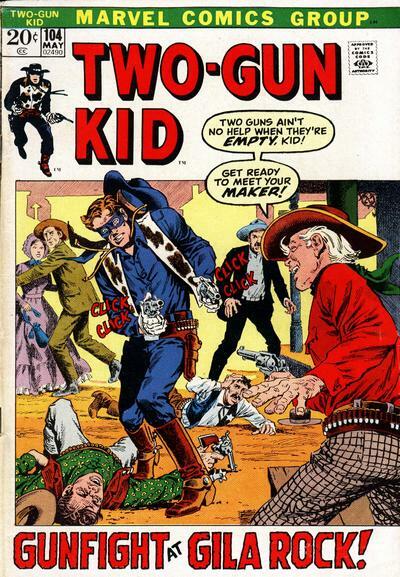 Back in the Groovy Age, one of Young Groove's fave western comics was Two Gun Kid. 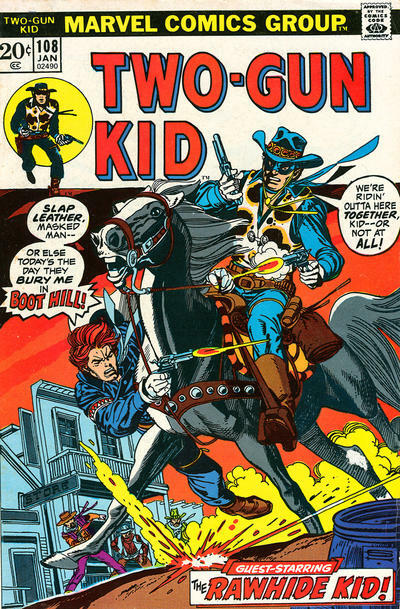 I guess the mask and the mostly black outfit just made him seem more cool and super-heroic--or at least Lone Ranger-ish. 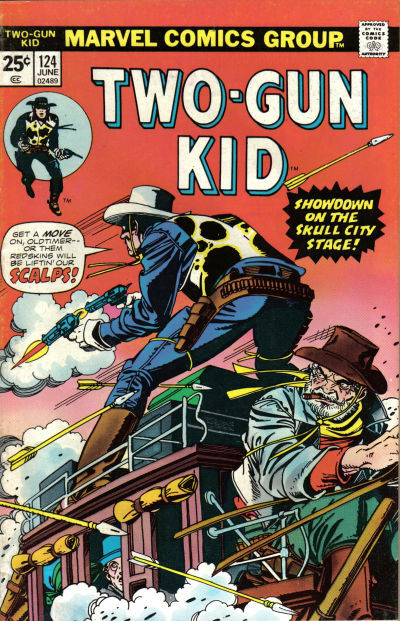 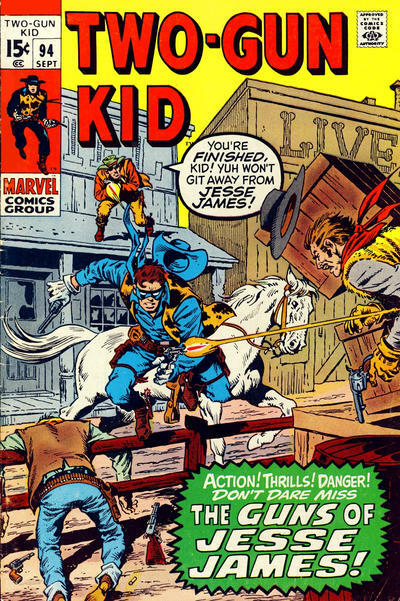 While the mag was mostly reprints during the Groovy Age, the Kid was blessed with suh-weet covers by such titanically-yet-diversely talented artists as John Severin, Herb Trimpe, and Gil Kane. 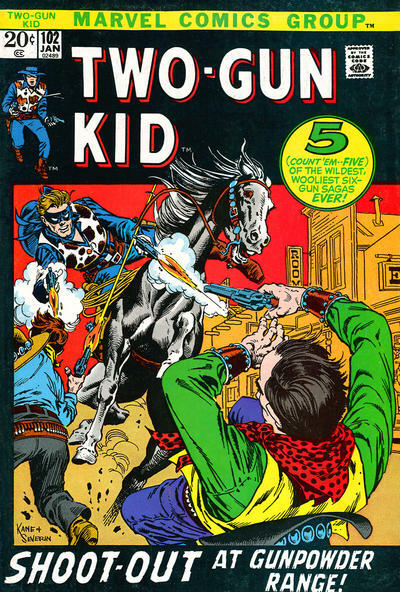 When someone hollered "Draw!" 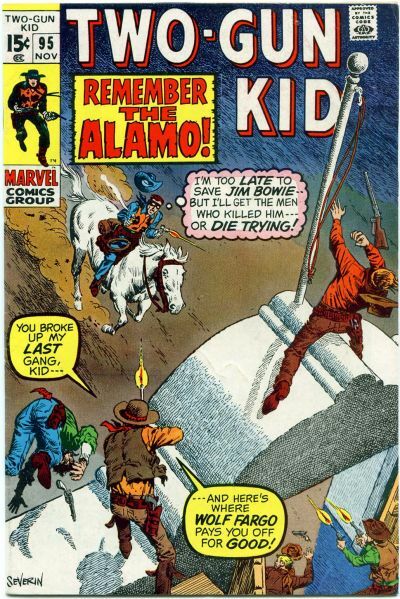 at that terrific trio, they whipped out their pencils and whipped up some of the coolest cowboy covers ever! 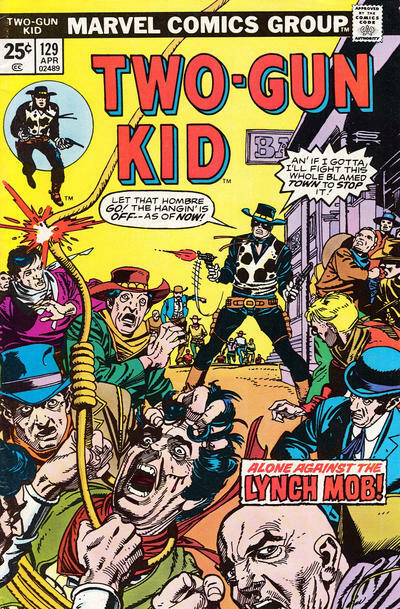 Can you dig it, pardner? 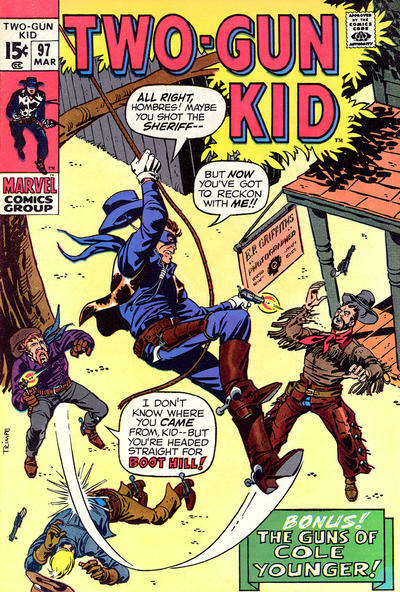 My intro was through Steve Englehart in Avengers 142...still a favorite!